By Dan Gager, Vice President of Business Development, COMSAT, Inc. The Arctic is rich with valuable oil, gas, metals, minerals, and fishery reserves. The Arctic seabed is estimated to contain approximately 15 percent of the world’s remaining oil supply, 30 percent of the world’s natural gas deposits, and 20 percent of its liquefied natural gas. Historically, the frozen tundra made it nearly impossible to mine these valuable resources, but the melting ice along with improved infrastructure technology has made mining a very feasible opportunity. Therefore, the United States is taking proactive steps to increase its military presence in the Arctic region to protect its interests. As the United States expands its military presence, it is finding that existing connectivity options are limited or inadequate for the harsh and austere Arctic environment. Fortunately, the newly launched Iridium NEXT constellation of satellites will provide a secure and reliable broadband connectivity for military personnel in the region. COMSAT, as the sole provider of Iridium broadband to the Department of Defense (DoD), will bring its full suite of value-added services to the DoD’s Iridium Certus program. COMSAT intends to deliver enhanced capabilities that meet the DoD’s requirements, which will, in turn, drastically improve secure communications in the region. Expanding the military footprint in the Arctic is not an easy task. Warfighters require specialized training and communications are extremely difficult to maintain. With that said, secure communications are critical to mission success in the Arctic. 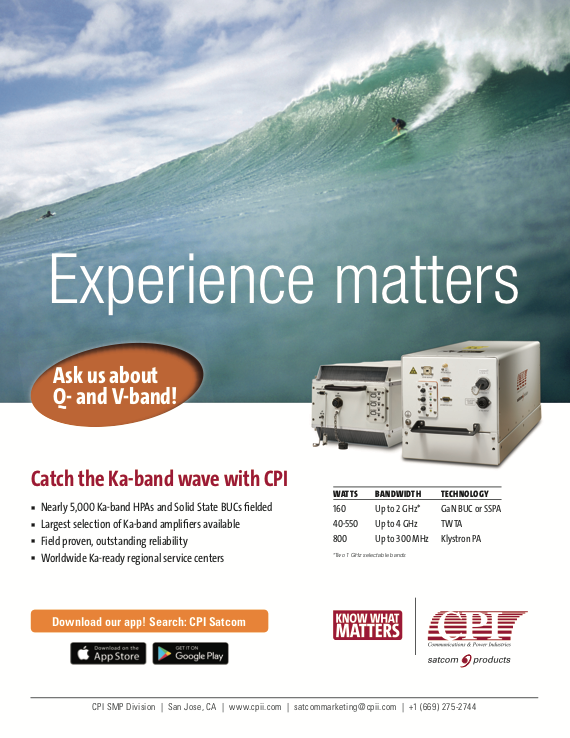 Current radio frequency solutions are patchy and unreliable and data transmissions are limited. With a growing presence in the region, there is a need to communicate with voice, text, images, and video anywhere and at any time. Iridium Certus users will be able to securely connect warfighters deployed in the region to command and control centers anywhere on the planet because the terminals can maintain broadband connectivity in unpredictable environments on land, at sea and in the air. The U.S. Coast Guard (USCG) also plays an important role in the Arctic and the organization is taking steps to increase its presence and effectiveness. “Presence equals influence. If we don’t have a presence there, our competitors will,” USCG’s Commandant, Admiral Karl L. Schultz, said at the Wilson Center in Washington DC. The USCG’s activities in the Arctic are reliant on precise and ongoing maritime domain awareness, which is currently restricted by limited surveillance, monitoring, and information system capabilities. Without a strong domain awareness, USCG resources will face greater threats. Unmanned Aerial Systems (UAS) are being outfitted on the USCG’s fleet of cutters and they can be used to identify maritime threats, such as ice, but only if they have reliable and secure communications connectivity. Iridium Certus can be used to improve domain awareness and communications for the U.S. Military by providing VoIP, IP data for text messaging/asset tracking through the use of the proprietary Iridium NEXT network of 66 cross-linked satellites residing in Low-Earth Orbit (LEO). COMSAT’s Iridium Certus offering is the premiere choice and ideal solution for teams operating in harsh conditions that are restricted by a limited and compromised environment. User terminals connect directly to the Iridium Gateway via inter-satellite links. COMSAT Iridium Certus users are also supported with a 24x7 NOC and Customer Care, always managed by background checked and security cleared staff in the United States. Secure military communications, such as Iridium Certus, will also help the United States’ economic interests in the region. From drilling to transportation, the economic opportunities are immense. The United States has already issued exploratory drilling permits in the region, and transportation opportunities are also increasing, but navigating the ice is still dangerous and requires reliable communications and accurate domain awareness. There are three passages in the Arctic that could be used as possible trade routes, but one of them is controlled by Russia and another one is still considered too constrained by thick ice caps. 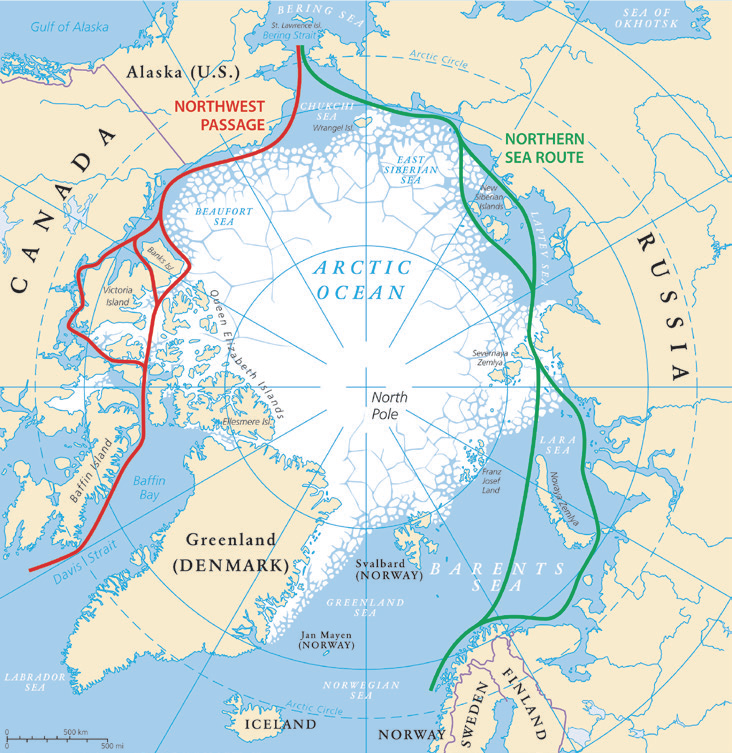 The Northwest Passage, though, has become a more economically viable shipping route, creating more direct routes between North America, Europe, and Asia. The Northwest passage could cut thousands of miles from journeys that currently use the Panama or Suez canals. Control of these routes could create potential conflict and is yet another reason why the region needs a stronger United States military presence. U.S. forces have been increasing their presence in the Arctic over the last few years and are including special training to prepare for the brutal environment and potential future conflict. Iridium Certus will provide them with the connectivity required to safely perform intelligence surveillance and reconnaissance. Although the company is cooperating with other Arctic states, U.S. forces must continue to prepare for any eventualities. Part of the military strategy for the region is to increase military exercises. 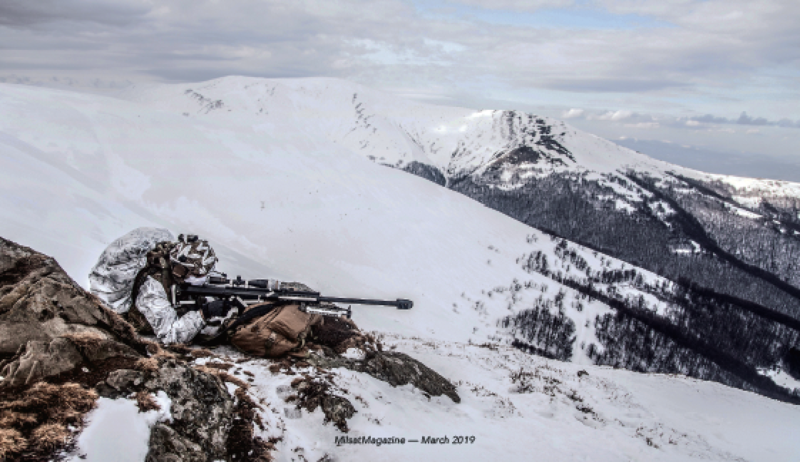 In March of 2018, more than 1,500 U.S. military personnel gathered in the Joint Pacific Alaska Range Complex and Long-Range Radar System sites for the largest joint training exercise of 2018, the Arctic Edge. The exercise exposed areas where better processes could be implemented to improve operational successes. Everything is more difficult in the Arctic. Communicating in the harsh conditions could become a life and death situation and radio communications are often tricky when interacting with the ionosphere. Military personnel on patrol using radio frequencies spend most of their time listening to static while they are trying to find a clear signal. The Iridium network is unaffected by terrestrial conditions and will provide reliable mobile connectivity for military personnel on the move during training exercises and operations. Telemedicine, casualty evacuation and search and rescue (SAR) are also three areas where Iridium Certus connectivity would provide life-saving communications. When conditions deteriorate, telemedicine may be the only way to provide life saving health services in the region; however, a dependable connection is required. Although the number of SAR cases in the Arctic are relatively low, the increased presence in the region will likely lead to more emergency situations requiring such services. Distance is a great barrier in receiving SAR services in the Arctic. Swift notification is the difference between life and death, and with real-time data, Iridium Certus is the most reliable communications solution. Much of the Arctic military and commercial strategies are still being formed — any success in the region will require a stronger military presence and dependable communications that work on land, in the air, and at sea. 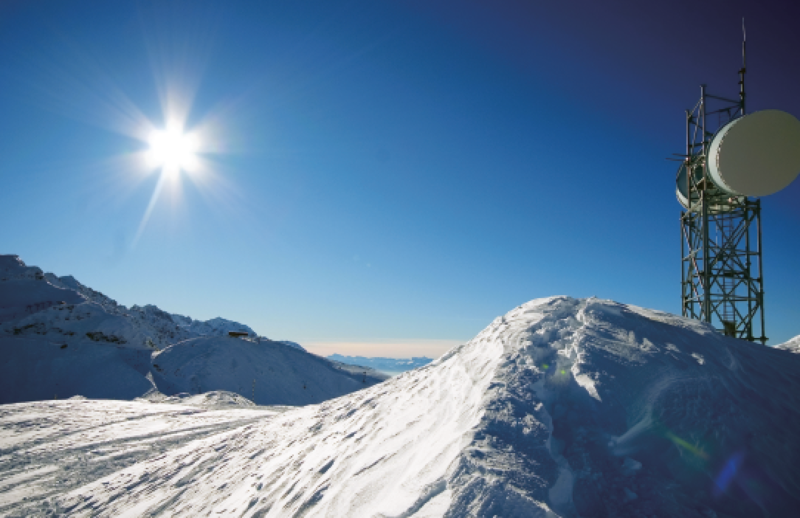 With reliable and secure connections, COMSAT’s Iridium Certus offering is the best communications solution for the Arctic region. Dan is the Vice President of Business development at COMSAT Inc. and he possesses more than 18 years of SATCOM experience. Dan brings a wealth of satellite program management and technical experience to COMSAT from his work as an active duty U.S. Army satellite communications officer, a DoD Civilian and as a network operator. Before starting at COMSAT, Dan was Executive Vice President at satellite hardware manufacturer NAL Research; Director of Government Business Development at Iridium Satellite; and as a satellite program manager at the Defense Information Systems Agency (DISA) where he served as the Chief of the DoD’s Enhanced Mobile Satellite Services Division; Program Manager of the U.S. Government’s Future COMSATCOM Services Acquisition (FCSA); Gateway Satellite Systems Expert GIG Operations; and as DISA’s liaison to the CJ6, Multi National Forces, Baghdad Iraq. On active duty, Dan served as the assistant operations officer, 1st Satellite Control Battalion, and Commander of the Defense Satellite Communications Certification Facility, Schriever Air Force Base in Colorado. Dan currently serves as a Lieutenant Colonel in the DC National Guard where he is a plans and operations officer for National Guard Legislative Affairs. Dan holds a Bachelor’s Degree from Cameron University and is a graduate of the Command and General Staff College. 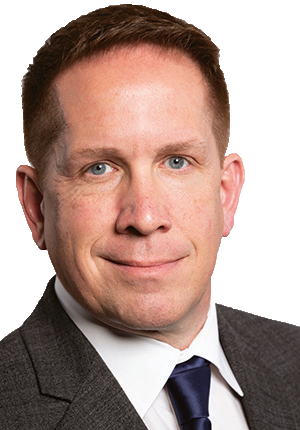 Dan’s other affiliations include the Army Signal Regiment, Society of Satellite Professionals International, Armed Forces Communications and Electronic Association, Association of the United States Army, Army Reserve Officers Association, and Phi Delta Theta fraternity.